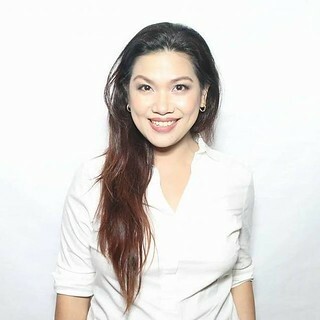 Even if I am a full-time working mom, I find time to bond with my kids when I get home on weekdays or every weekends through simple activities such as playing with them, talking to my tween about how his day went, tickling their tummies, bathing the little one, singing songs, dancing or doing arts and crafts. 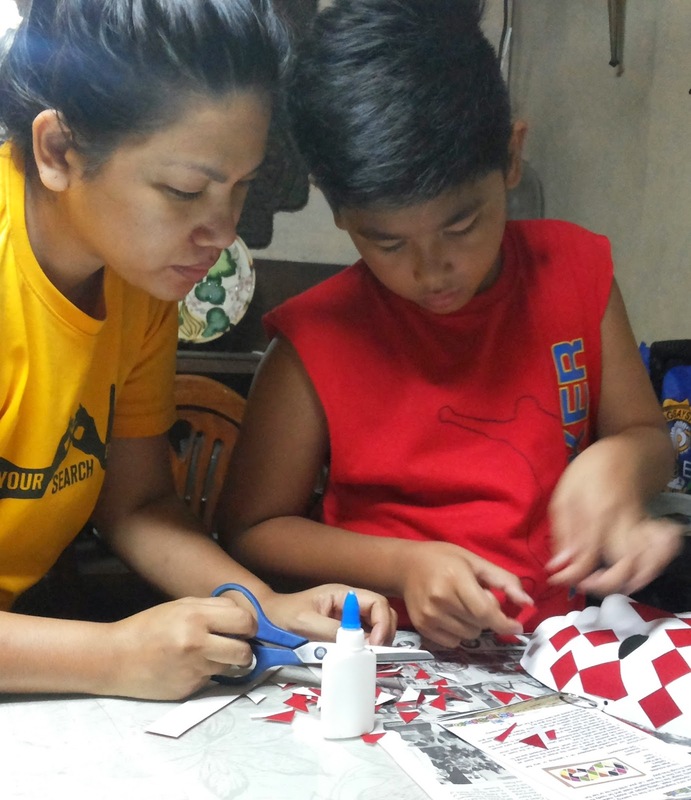 I used to think that parent-child bonding would entail expenses because we had to go out to malls, museums or parks just to achieve that quality time with the kids. But as I mature as a parent, hindi naman pala kailangang gumastos nang malaki just to bond with them. 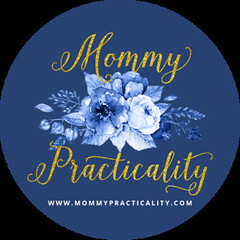 We could do simple activities together at home and precious bonding time is already created. Last week, I got Breeze Philippines' #SigeSabado Box and I was super thrilled at how huge the box is! 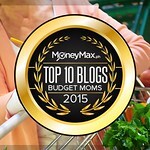 I thought to myself, my kids' faces will surely lit up once they see this! 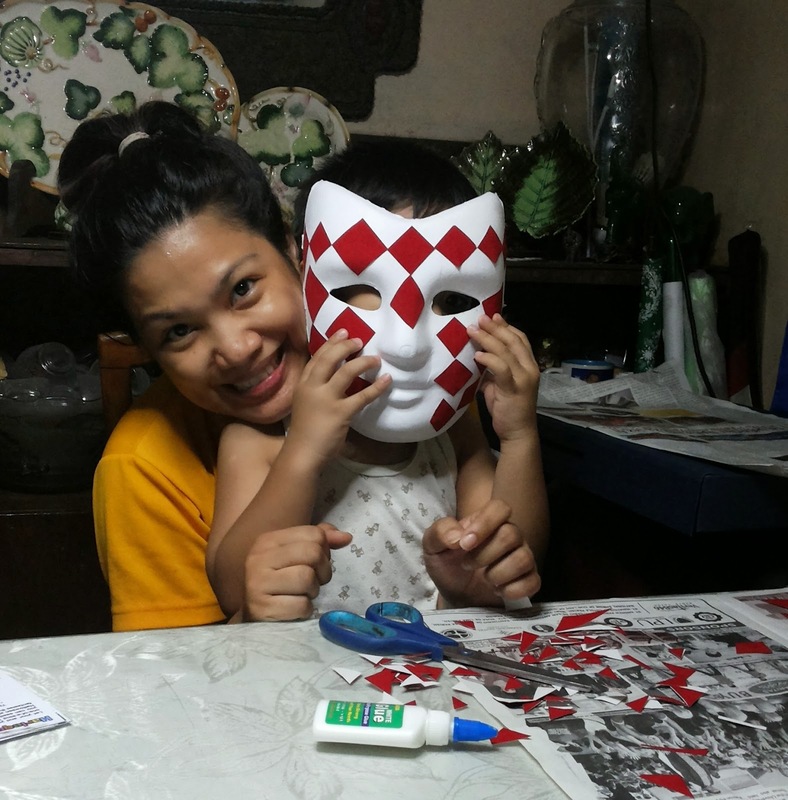 The little one got very curious about the Harlequin Mask that when he saw the box filled with arts and crafts materials, he picked up the blank mask and put it on right away. The kids were at awe just looking at the box with different interesting craft materials. 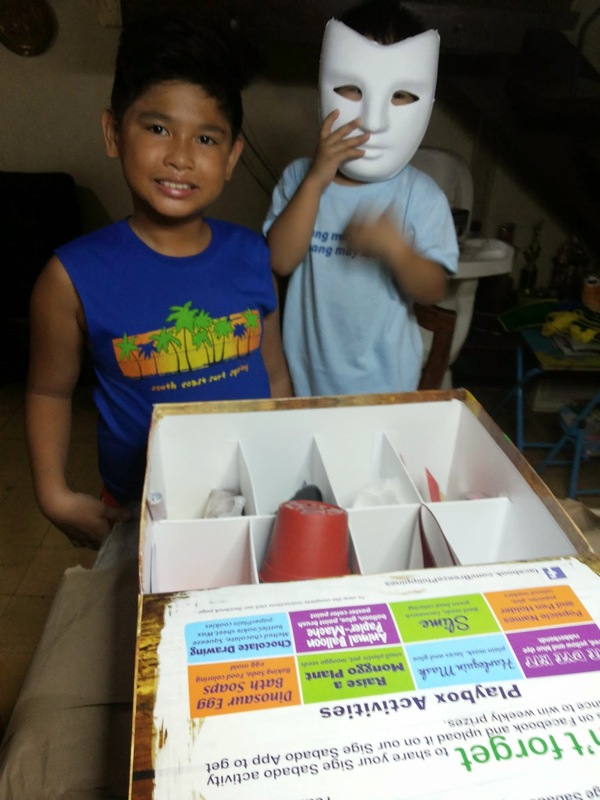 I guess because I have boys, who are more into rough play and pretend play, this Sige Sabado Box really got them puzzled! 1. 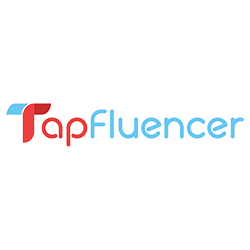 Spread out the old newspaper on the table where you are comfortable to work on. 2. 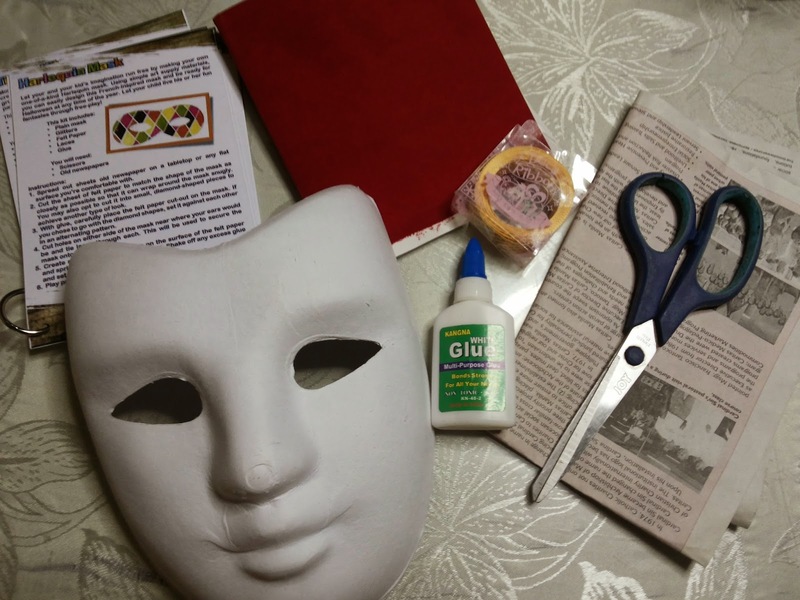 You may cut the felt paper to be glued snugly onto the mask. 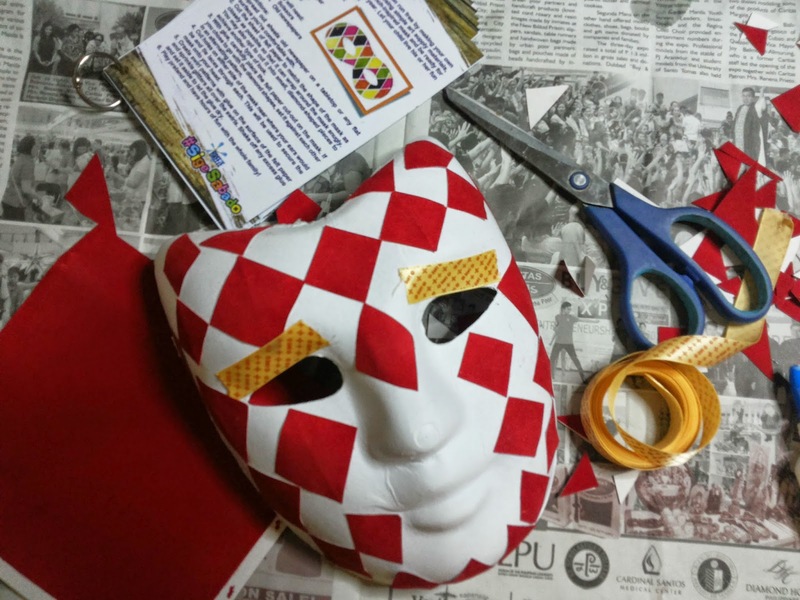 But you may also cut smaller pieces to decorate the mask. 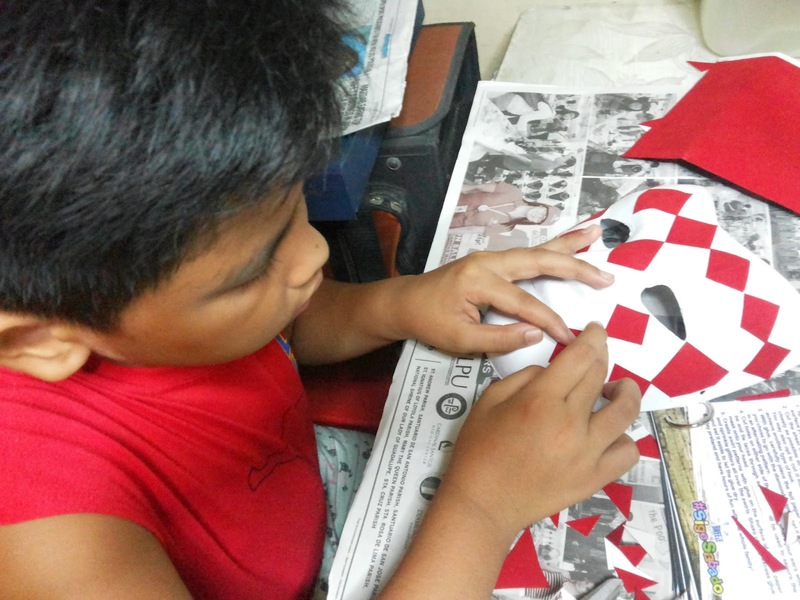 We chose to cut diamond-shaped pieces of the felt paper to make a pattern on the mask. 3. Glue the felt paper pieces on to the mask. If your son is too young to hold the scissors, that's the time where Mommy or Daddy's help is needed! I did the irregular-shaped-diamonds which my son glued on to the mask. 4. To add some embellishments on the mask, you may cut pieces of laces/ribbons and glue it on to the mask. 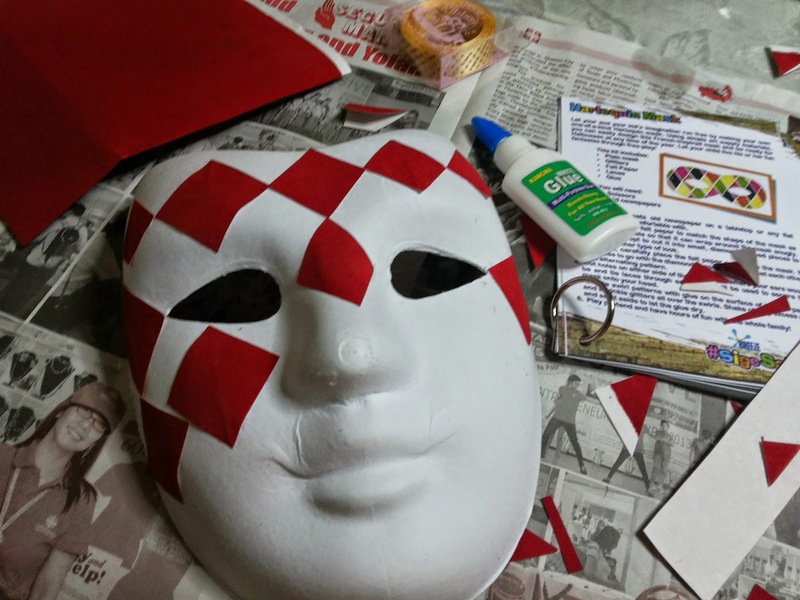 You may also glue some swirl patterns on the white spaces of the mask and sprinkle it with glitter. After the glue had dried up, shake off the excess glitters. 5. Cut holes on the two ends of the mask. Insert the lace to both holes to secure the mask on the head of your child when he wears it. Here's our finished product: TADAH! 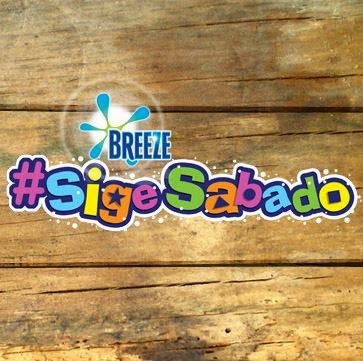 You too could get a chance to win a #SigeSabado Playbox if you like Breeze Philippines on Facebook and share your Sabado bonding with your kids on their #SigeSabado Facebook App (https://www.facebook.com/BreezePhilippines/app_617635534982157). 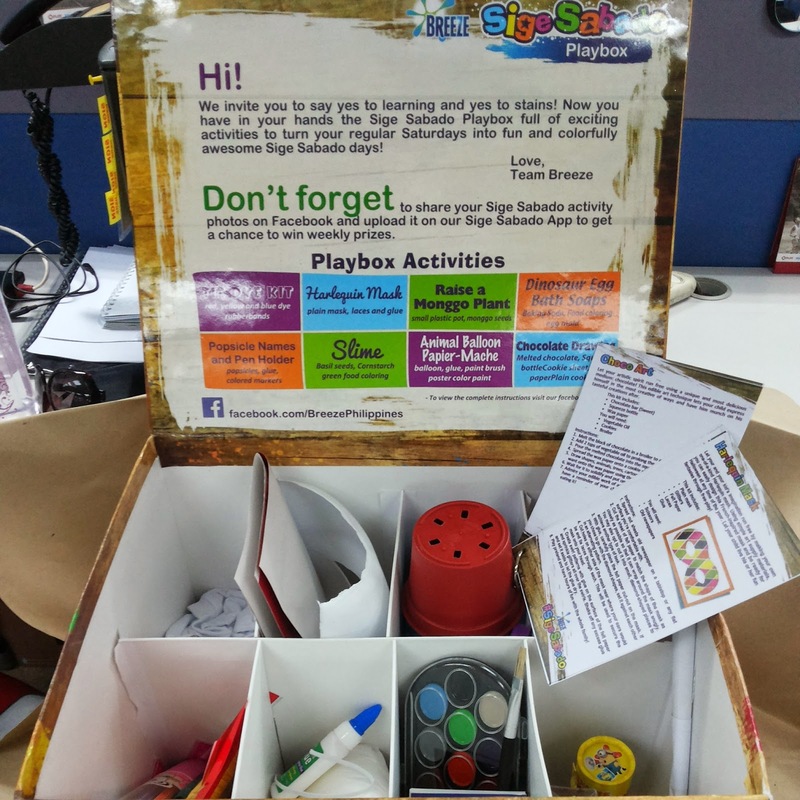 Breeze Philippines is giving out a #SigeSabado Playbox weekly so you could enjoy these DIY activities as well. Not only that! Breeze will also choose their Grand Prize winner who will win a Round trip Ticket for TWO (2) to Legoland Malaysia Resort. Isn't that Exciting? Isn't that Amaaazing? Thanks to Breeze, Saturdays have never been this great even when we just stay at home, get down on the floor and get messy! What's important for me is my children know that their Mom will always be there for them to guide them, play with them, and LOVE them unconditionally!